The interviews and a few pics from my attendance at AnachroCon, the time traveler's convention. Atlanta hosts a lot of conventions. I'm not just talking sales or industry conventions, I mean geek gathering spaces. Dragon Con is the largest, but by no means the only one. 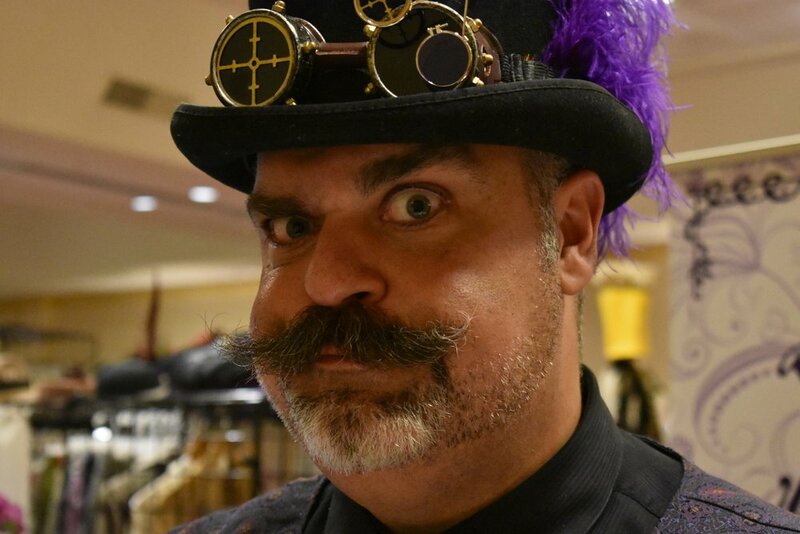 AnachroCon is an alternate history convention featuring "what if", steampunk, cosplay, and all the rest. I attended this year, and here are the stories. You can see more pictures on the AnachroCon pictures page. In the first full episode of Change Over Time, I have a conversation with Sarah Avraham, the chair of AnachroCon, an annual convention on alternative history held in Atlanta. This is the first in a series about AnachroCon. Expect episodes on makers, authors, cosplayers, and a shaving expert. This small flurry of activity will give you an idea of what to expect of podcast at least regarding reporting in the field. Find out more about AnachroCon, the article Sarah mentions, and Cosplay Is Not Consent. Let's begin with a box. Ever wonder who makes the gear people wear to conventions? They are called Makers. In this episode of the Change Over Time AnachroCon series I speak to three makers: Shannon Truax of Boneshaker Boxes, Gary Alston of DaVinci Scientifica, and mad scientist Patrick Taylor of DemonCrafts. 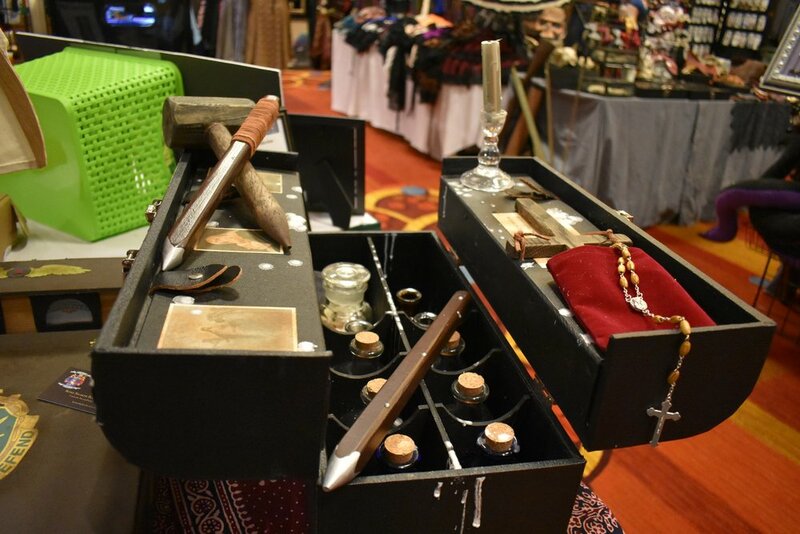 See pictures of their wares on the AnachroCon pictures page. Dr. Mike and his mustache. J. Michael Cobb, aka Dr. Mike, owns Dr. Mike's Shaving Emporium. If you're at all interested in early 20th century grooming, smelly good, or mustaches, then Dr. Mike's is the place to be. Check out his Three Tips on Shaving as well. Today on Change Over Time I’m geeking writers. 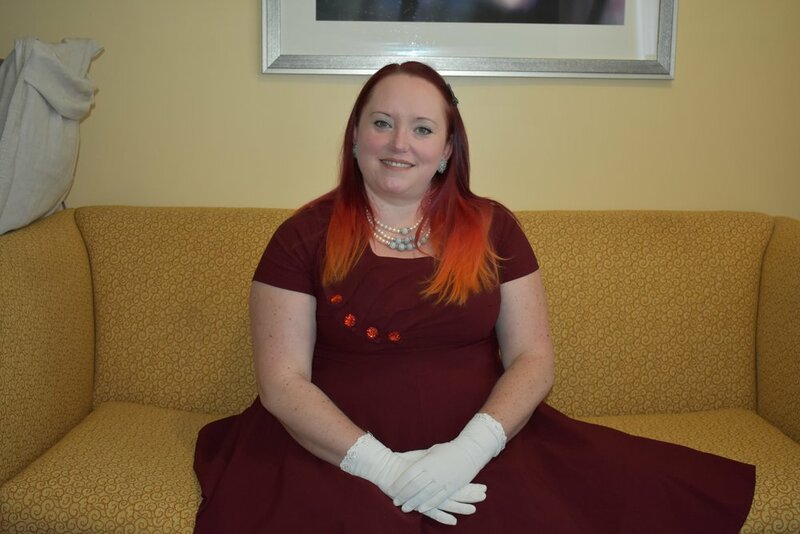 I’m highlighting conversations I had with three writers at AnachroCon, an alternative history convention held annually in Atlanta. They are Leanna Renee Hieber, Cecilia Dominic, and Dacre Stoker. Leanna writes gothic gaslamp fantasy and Cecilia writes steampunk. Dacre is the great-grandnephew of Bram Stoker. I talk with Leanna and Cecilia about their writing and aesthetic. My conversation with Dacre revolves around the historical interpretation of Dracula. The show mentions articles and books. Links to everything is below. You can also find information, as well as pictures of all the authors (and their cosplay) on the AnachroCon pics page. Based in Atlanta and able to reach the world. Alternative Historian is Daniel Horowitz Garcia. I help individuals, organizations, and companies find and learn from the hidden stories around us. This helps us learn more about our family, do better work in the community, and connect with our customers.